An alleged shoplifter who tried to evade Walmart security by hopping into someone else’s car in the parking lot ended up in cuffs anyway. There were people in the car around 2 p.m. Wednesday who told Anastasia Mariah Richmond, 18, of Butte, to get out. Police caught up with her walking across Harrison Avenue toward the cemetery. They say she left $300 worth of items in a cart at Walmart but had $136 in her backpack she didn’t pay for. 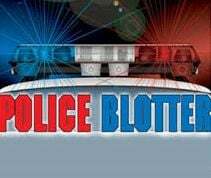 She was booked on misdemeanor complaints of criminal trespass to a vehicle and obstructing a peace officer and was being held Thursday morning with bail set at $520. Police were watching a vehicle believed to be used in drug activity in the parking lot of the Safeway on Massachusetts Avenue Wednesday afternoon when two people pulled up in another car, got in the watched one and took off. Officers stopped the car in the parking lot of Glacier Bank on Harrison Avenue and discovered the driver, Jared Nicholas Weaselboy, 36, of Butte, was on probation, wanted on a Highway Patrol warrant and was driving on a suspended license. Police allegedly found a controlled pill on him and in the car found a syringe with suspected drugs in it, a baggie with powder residue and an empty syringe. They booked Weaselboy on four misdemeanors, two felony complaints of possessing dangerous drugs and a felony probation violation. A woman passenger in the car was not arrested. Weaselboy was being held Thursday morning with no bail set. Officers were called about a disturbance at St. James Healthcare around 10 a.m. Wednesday and reportedly found Ronald Lee Borchert, 57, of Whitehall, threatening hospital staff. He then allegedly threatened officers and struggled when they tried to arrest him. They succeeded and booked him on misdemeanor complaints of disorderly conduct and resisting arrest. He was released early Thursday morning after posting $520 bond.